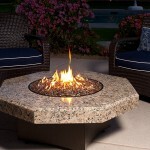 For outdoor lovers who love the smoke smell, the cracking and popping of wood as it burns, then the Dover 30” round slate fire pit table would make a great addition to your outdoors. 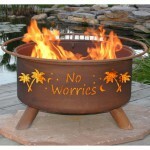 It’s a wood burning fire pit that has steel fire bowl which is around 7 inches deep to accommodate a reasonable amount of wood logs. 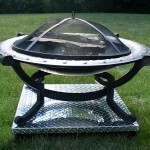 It has wider rims that are slated to provide an aesthetically pleasing top where you can place your drinks and snacks as you enjoy the warm of the fire pit. 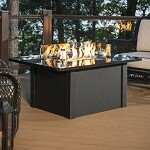 The legs have an antique bronze finish which adds to its attractive look. 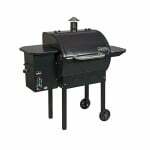 Its light in weight (around 12 pounds) thus making it easy to move from place to place. 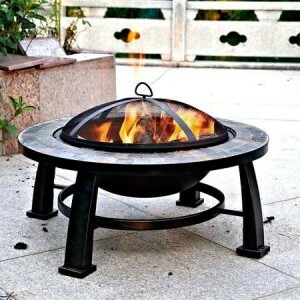 From the various customer reviews have seen, the Dover 30’’ round slate fire pit table is easy to assemble and comes with an instruction manual on the same. 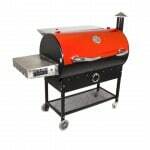 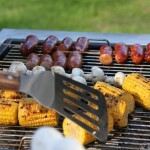 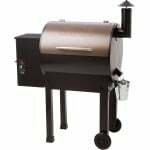 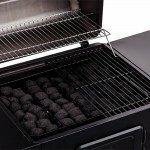 It’s ideal for a small gathering of family or friends to create fun memories as you roast marshmallows and make s’mores. 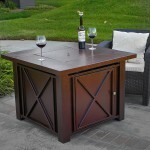 It includes a wooden grate and poker. 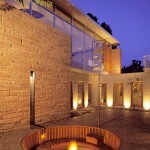 A screen mesh to contain embers in the fire pit is also included. 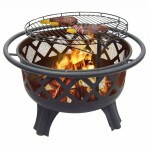 I read one or two reviews that said that the fire pit was wobbly due to some oversized pre-drilled holes that resulted in loose connections after assembling the fire pit. 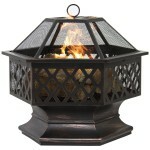 The stylish design of Dover 30’’ round slate fire pit table would make an attractive outdoor centerpiece by itself. 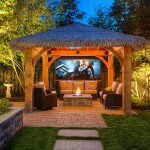 Add in a few patio planters and great lighting, a set of outdoor furniture to compliment your patio and you will have a stunning eye catching outdoor area. 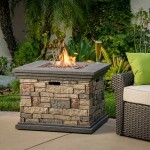 You can find similar fire pits here.